Deceased at the early age of thirty-nine, Bharati left behind a remarkable legacy of poetry and prose writings whose importance for the Tamils today can only be compared to the status of Shakespeare in the English-speaking world. 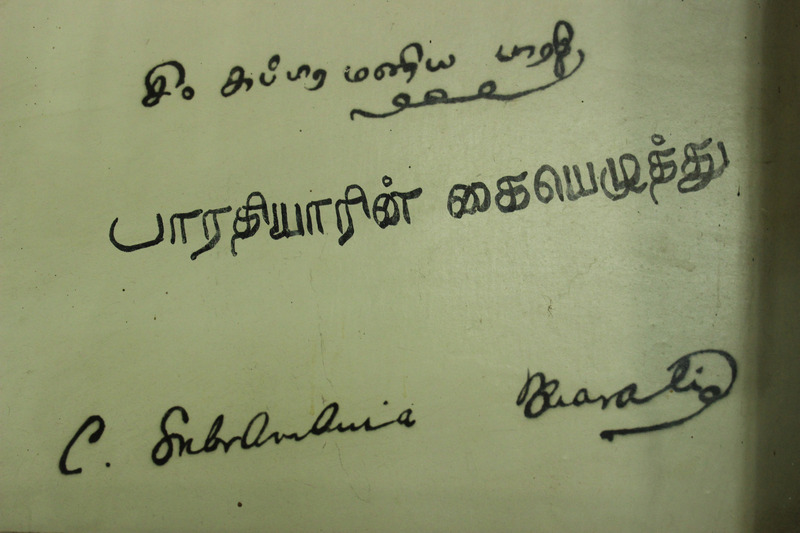 Bharati was not only the greatest of modern Tamil poets; he was also an ardent Indian nationalist and an impassioned advocate of social reform.Unfortunately, Bharati was persecuted for his convictions by both the British and the orthodox elements of his own, Brahmin society, who treated him as an outcast. He was exiled from British India in 1908 and went to live in Pondicherry, a French colony in South India. He spent ten years in exile there and eventually returned to Madras, where he died on Sep 11,1921. 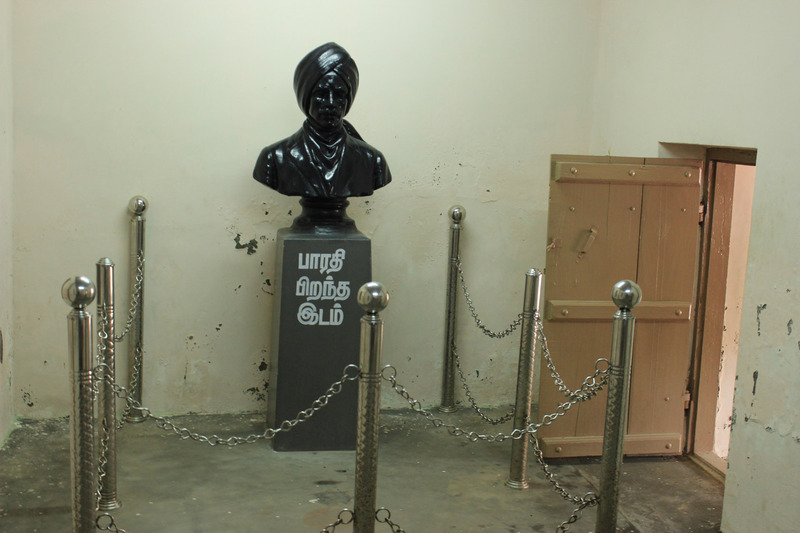 In memory of National poet Subramania Bharati a memorial was built by Kalki KrishnaMoorthy in 1945 and Mahatma Gandhi showered his blessings on the occasion of its inagural. In 1981 the centenary year of Bharathiyar was celebrated. The former Tamilnadu Chief – minister M.G.Ramachandran opened the new memorial on 11.12.1981 .